The revered and critically-acclaimed Patterned Behavior art mural on the Esplanade experienced a significant amount of vandalism sometime overnight on Thursday, September 20 into Friday, September 21. The mural, which has been installed beneath the Bowker Overpass on the Esplanade since July 2017, was commissioned by the non-profit Esplanade Association working in partnership with Now + There, MassDOT, and the Massachusetts Department of Conservation and Recreation. 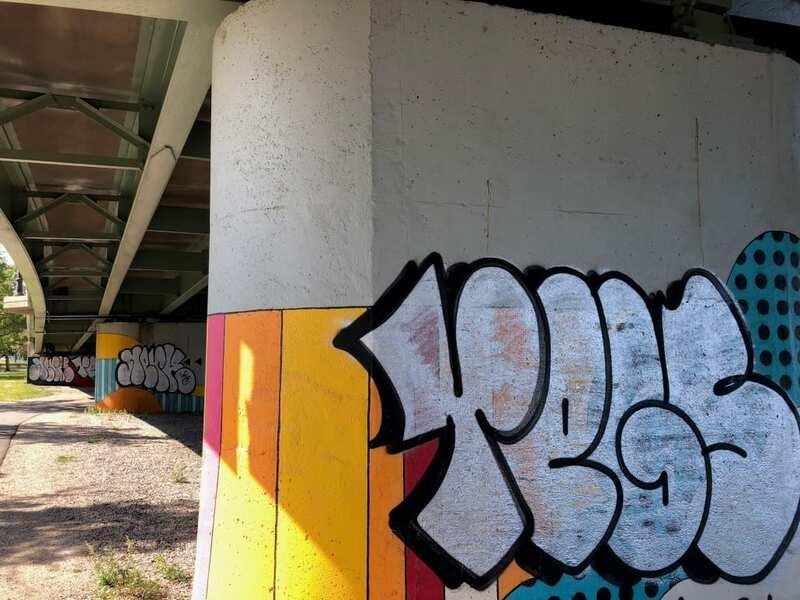 The Esplanade Association commissioned local artist Silvia Lopez Chavez to install the work on three pillars and an adjacent wall at the intersection of the Emerald Necklace and Charles River Esplanade, along Storrow Drive. A police report has been filed with the Massachusetts State Police, who maintain jurisdiction over criminal activities on the Esplanade. The Esplanade Association encourages members of the public with information about the vandalism to contact the Massachusetts State Police. The Esplanade Association has started a GoFundMe page to help cover the expense of restoring the mural and preserving it through the rest of its commission, which currently is set to expire in July 2019.